With the number of loose stones and debris on the UK’s roads increasing due to more and more traffic using the roads and wearing them out on a daily basis, vehicles are forever being hit with small stones as they drive along and it has now become part of everyday life for motorists. Occasionally there is that one larger stone or piece of debris that manages to fly higher into the air and hit the windscreen which often takes motorists by surprise, and every so often these stones hit the windscreen hard enough to damage it in the form of a small chip. With the UK’s changeable weather, it’s sometimes only a matter of days before even the smallest chip – if left untreated – can become a small crack. After that it only takes a single pot hole and that small crack can span the entire windscreen which will not only make your vehicle un-roadworthy, but it can also be very dangerous to drive your car in such a condition. Fortunately for motorists, windscreen replacement is quite a common procedure and with more and more companies being able to invest in the technology to do it, pricing is becoming increasingly competitive. 0 for a complete windscreen replacement. If your insurance cover does not include windscreen protection then you can expect to pay anything between £150 and £400 for a new windscreen, depending on a number of factors including the type of vehicle as well as the size of the windscreen. money on your windscreen replacement you may wish to opt for a new windscreen that is not heated. 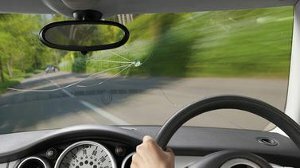 Windscreens that contain built-in sensors for lights and windscreen wipers tend to cost even more due to the fact that they contain quite complex technology.